Includes all tastes & one beer or glass of wine, option for cash bar after, plus a voting ticket so you can vote for your favorite student team! UNLIMITED Daiquiris for at least the first hour or until we run out! $40 per person total at the door or online. +$2 onsite to buy more voting tickets for the student competition. Held under sparkling lights, our area's food and drink will shine with live music, produce shopping, beer from Engine 15, food, and a culinary competition featuring the next generation of chefs mentored by local chefs. Sponsors include Visit Florida, EU Jacksonville, I Know Jax, Eco Labs, Manny's Cuban Food Truck, Eco Relics, Sysco, and Yelp Jacksonville. Included in your ticket price will be 10 samples from local food providers (Bellwether, Blue Bamboo, JammasJax, Rummies and Yummies, Pie95, Perfect Pear, House of Leaf & Bean, Rite on Que, Front Porch Pickings, Blue Orchid), an adult beverage, and samples from high school culinary students in a competition using ingredients from the market, with mentorship from local chefs. All general ticket holders can taste, but we ask that you vote on your favorite to benefit the school of your choice. All proceeds from the voting are donated directly to the schools you vote for! 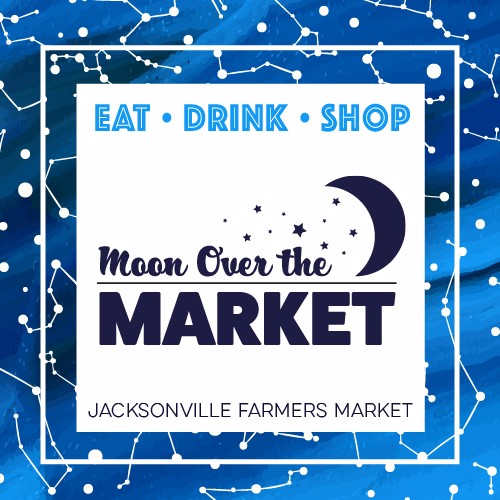 Part of the Jacksonville Farmers Market will stay open until 7 p.m. so that you can experience the vendors, both local and exotic, but the party continues to 8:30 p.m.